Gina and Corey found Desirable Events by Desi a little over a year prior to their selected wedding date. We met over Skype as they were from Virginia and instantly clicked. They are such a beautiful couple and their wedding just turned out gorgeous. 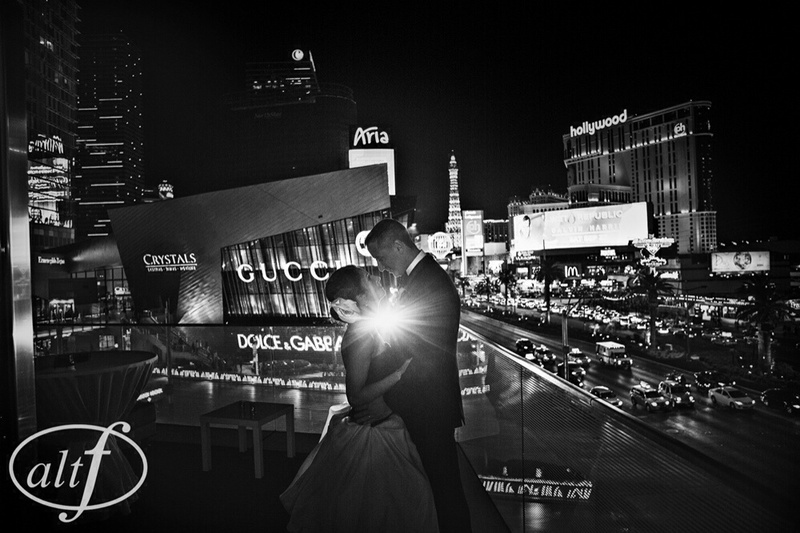 They wanted their wedding in Las Vegas because it is their home away from home as they travel here quite often and it is where Corey proposed to Gina. It made for the perfect destination wedding for them. When I first met Corey in person he had two requests: a Jager Bomb station and a Flair Bartender. Right then and there I knew this was going to be such a fun wedding to plan. Although they did not have either one of Corey’s requests, we came up with a ton of fun ideas for the couple and their guests, which I will get into later in the post. 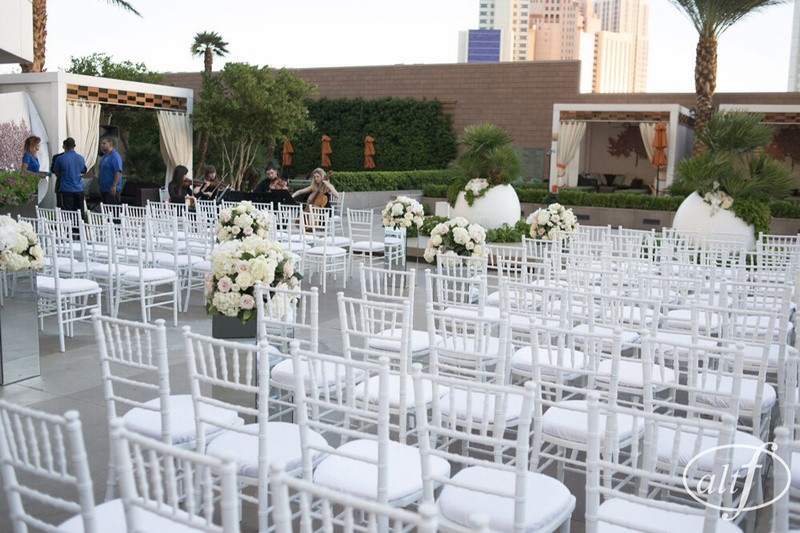 The wedding was held at the 5 star hotel, the Mandarin Oriental in the center of the Las Vegas Strip. Walking into the hotel alone, it takes your breath away by their decor but this couple added their personal touches and beautiful decor to make their event perfect. Naakiti Floral was hired to do all the beautiful centerpieces, bridal party flowers, parent flowers, and ceremony decor. With the strong winds outdoors for the ceremony, I had the news to either bring the wedding indoors to have the beautiful floral reveal the couple wanted or to just do without flowers and get married outside as planned. Corey and Gina both said rain, wind, or shine they wanted to have their ceremony outside. With the help of Naakiti, Mandarin, and my team, we made their request happen and they still had beautiful flowers down the aisle. Their ceremony was performed by Reverend Jimmy Mac. He made the ceremony so personal and memorable. It was fabulous and Gina’s Vera Wang dress was gorgeous in the gusts of wind. Brio Strings was their string quartet that performed during the ceremony and cocktail hour. The lovely quartet works through T Entertainment. It was a very romantic ceremony and with a hundred people still felt very intimate. 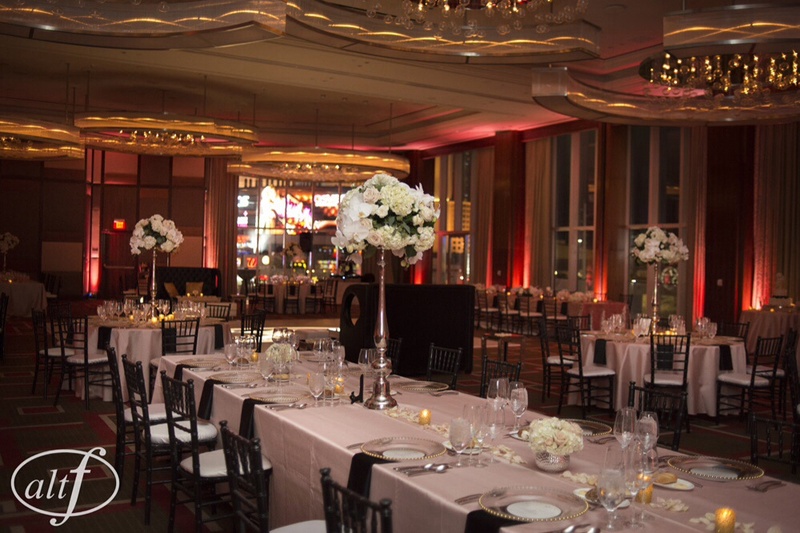 The reception was in the ballrooms at the Mandarin with a beautiful view of the strip. With all of the gorgeous decor and personal touches, it was such a fun and memorable event. The unique table set up of a mix of long rectangular tables and circular tables half with blush linen and the other with sequin blush linen fit beautifully with their style. They also had gorgeous centerpieces of mixed floral from white hydrenga, sahara roses, cream spray roses, white phals and white anemones. Along the dance floor, Sit on this provided comfortable lounge furniture for the perfect look and so guests could rest their feet during dances. Dj Miss Joy performed throughout the wedding with club inspired music that the bride and groom requested. 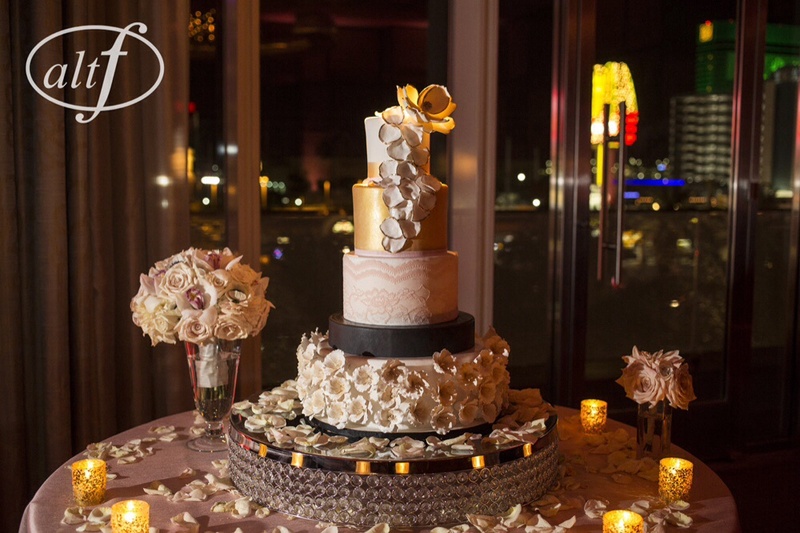 To add that extra special touch and tie the whole room together, Bliss Entertainment provided blush uplighting. Gina and Corey were so thoughtful of their guests and had favors for them throughout the night. 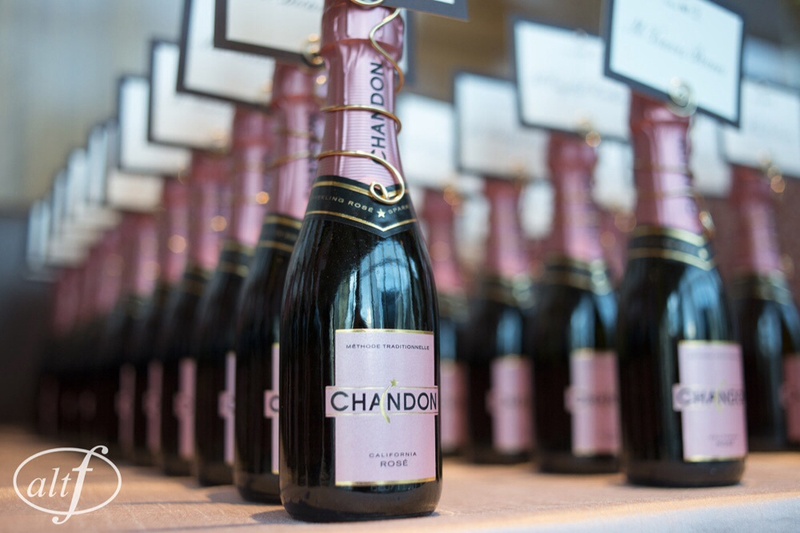 They started with their place cards being mini bottles of Chandon Rose. 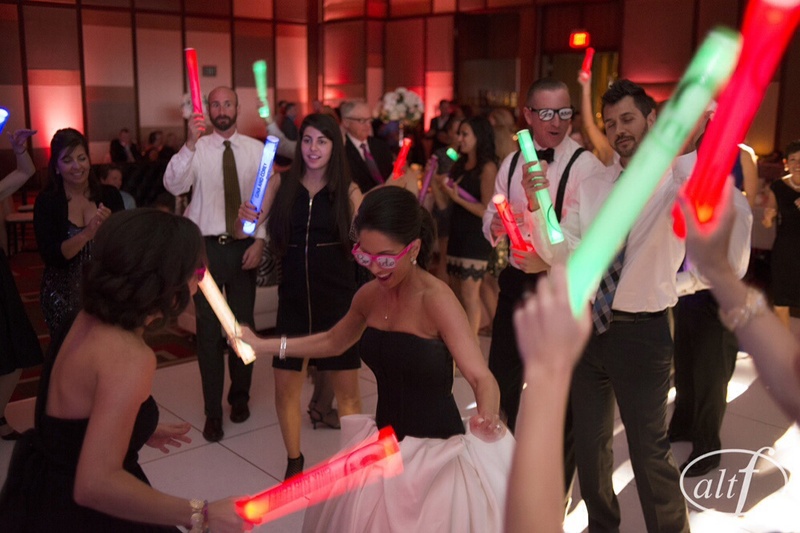 After their 5 course dinner that was served as the guests danced the night away they brought out glow sticks to add the Las Vegas club scene. These were by far a big hit with even the oldest guests. 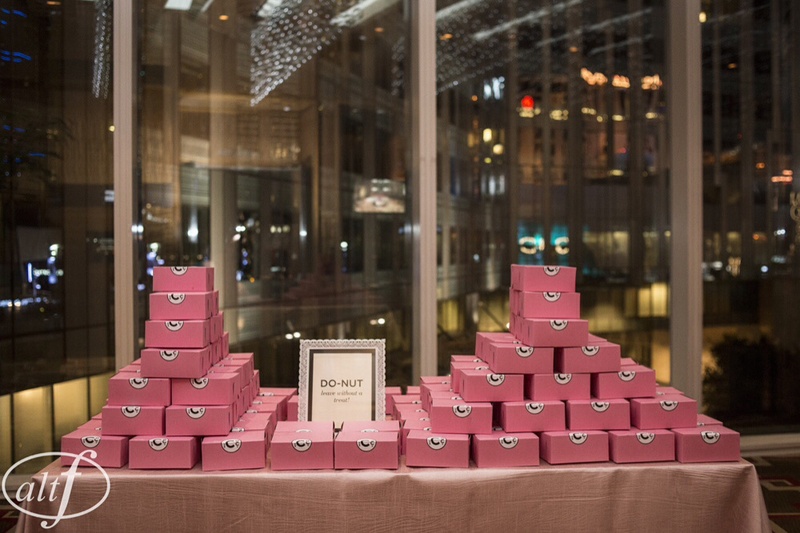 At the end of the night, they wanted to make sure each guest had another final treat with gourmet donuts. Throughout the entire day, Heidi Ann and John Michael with Alt F photography took breathtaking photos of the couple. 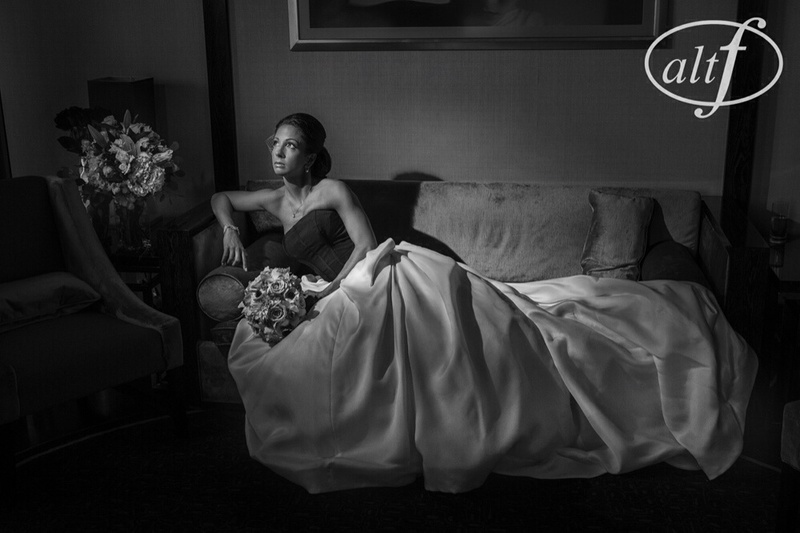 They captured all the details throughout the event and left everyone involved with the most memorable photos. All photos in the post were provided by them. This wedding was absolutely perfect and the couple was wonderful to work with. We made a lasting friendship out of this. A special thanks to all who helped create this couples desires! Please visit http://www.desirableevent.com to book your wedding or event. You too can have a gorgeous event with the best of the best vendors in the industry.